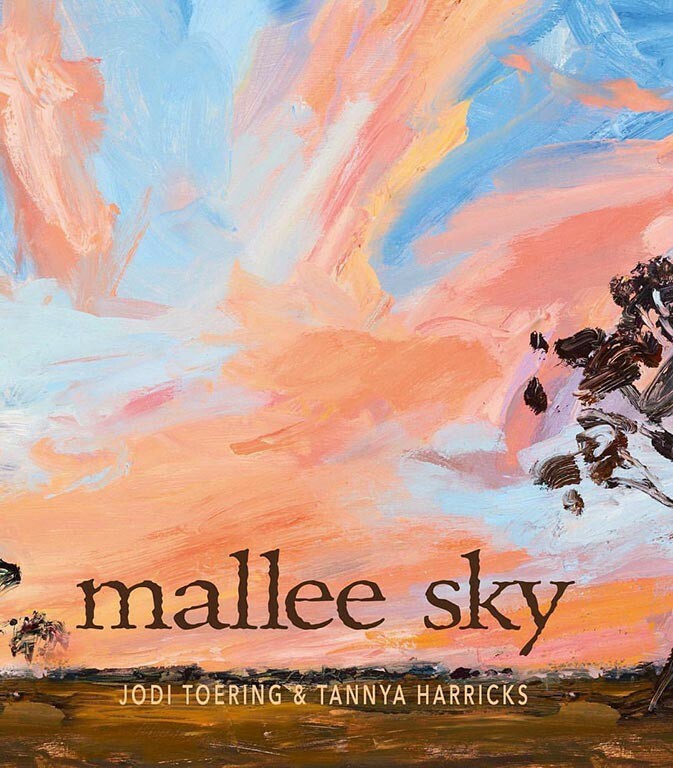 An extremely timely and beautiful picture book about the effects of drought and climate change in the Mallee. The first people of the land call the Mallee “Nowie”. It means sunset country. When the sun goes down the red heat of the day bleeds into the sky and sets it on fire. Drought and rain – life under a Mallee Sky. 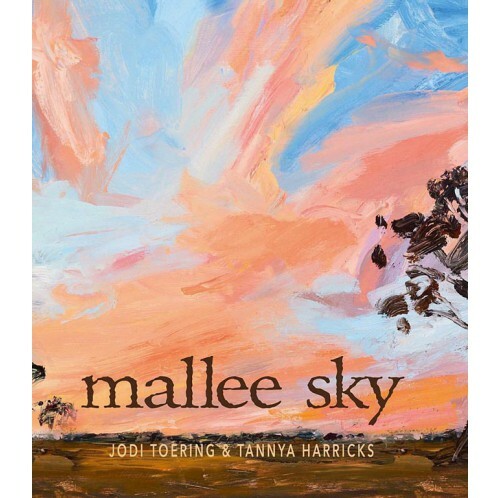 This poetic text by emerging author Jodi Toering is beautifully accompanied by lush oil paintings by fine artist and illustrator Tannya Harricks.